Huawei and Honor maintain their desire to flood the market of mid-range phones with designs and features almost traced . After the Huawei Mate 10 Lite , Smart P , Honor 7X , Honor 9 Lite comes a new smartphones under the secondary brand of Huawei, which will be presented next week at an event held in China. This is the Honor 7C, the cut-out edition of the 7X, whose first details appeared a few weeks ago at the TENAA certification website, and whose launch has been confirmed today by the company itself through the promotional poster that we see under these lines. It will be next Monday, March 12 when the Chinese giant carries out the presentation of its new phone belonging to the intermediate segment. The first tracks already indicated that the terminal would have a screen close to 6 inches diagonal with aspect ratio of 18:9 , in addition to a photographic system formed by two cameras in its rear part. 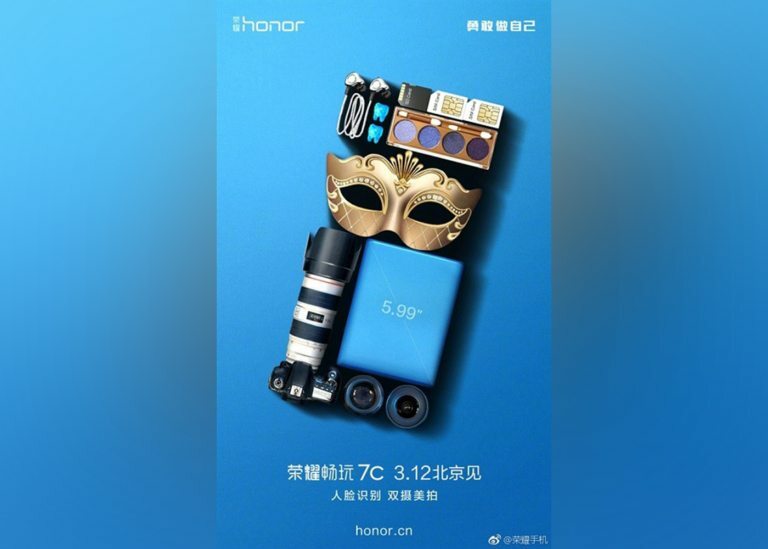 In the promotional poster published by Honor, it is confirmed that, in effect, the screen will be 5.99 inches in size, as well as the inclusion of a photographic system consisting of two sensors. Neither will be missing the support for dual SIM and SD card, nor the port for headphones. Beyond all these details, the Honor 7C should mount an eight-core processor at 1.8 GHz, battery near the 3,000 mAh capacity, a fingerprint reader and Android 8.0 Oreo from a start. It is expected, in addition, that the latest Honor maintain the quality-price ratio characteristic of the terminals that make up its catalog, so taking into account the specifications known so far, we imagine that its price will not exceed 200 euros to change. Next Monday we will leave doubts about it. 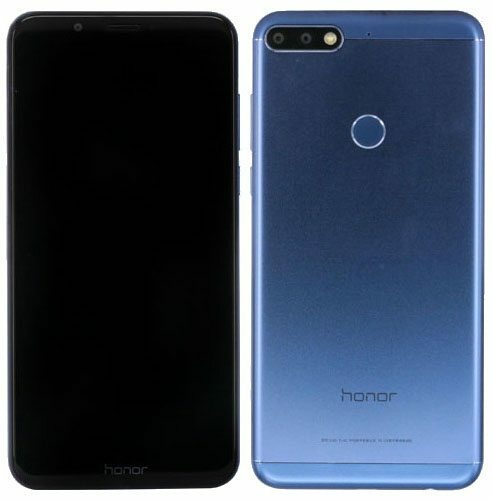 The rumored specifications of the Honor 7C includes a 5.99-inch 18:9 FullView 2.5D curved glass display with 1440 x 720 pixels resolution and will be powered by the 1.8GHz Octa-Core processor. It will have 3GB / 4GB RAM and 32GB of internal storage capacity that will be expandable up to 256GB with microSD card. It will run on the Android 8.0 (Oreo) OS out of the box and will have a support for Dual SIMs. It will feature a dual rear camera with a 13-megapixel camera with LED flash along with a secondary 2-megapixel camera. It will also have an 8-megapixel front-facing camera. It will have a 2900mAh battery and connectivity options available will be 4G VoLTE, Wi-Fi 802.11 b/g/n, Bluetooth 4.2, GPS + GLONASS and will have a fingerprint sensor on the rear panel. It will measure 158.3 × 76.7 × 7.8mm and will weight 164 grams.